The Urban Affairs Committee heard two bills Jan. 29 designed to expand and improve early childhood education. 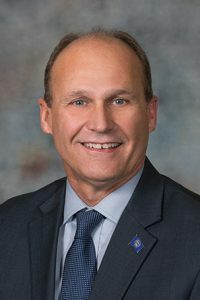 LB160, introduced by Grand Island Sen. Dan Quick, would allow a city or village to use the Local Option Municipal Economic Development Act to improve early childhood development. Quick said the law, passed in 1991, allows municipalities to use local tax revenue for economic development, but increased access to child care is not among the authorized uses. 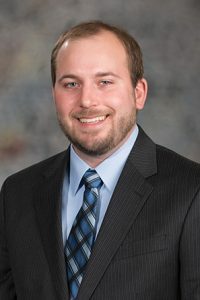 “LB160 represents a logical extension of the act to include early childhood infrastructure development to address early childhood education shortages, which hurt the ability of our communities to attract new businesses,” Quick said. Joey Adler of the Holland Children’s Movement spoke in favor of Quick’s bill. Adler said access to quality child care is critical to growing a city’s economy. Elizabeth Everett of First Five Nebraska also testified in favor of LB160. She said Nebraska leads the nation in the percentage of single mothers who work outside the home and have a child younger than six, making the need for child care even more critical. Everett said the city of Pender was in a “child care desert” before the recent opening of a daycare center. Jason Buss also spoke in favor of the bill. Buss, president of the Merrick County Child Development Center, recently moved from Columbus to Central City, and said access to child care was his family’s main consideration regarding where to live. Central City is growing, he said, and his organization needs to expand to keep up with demand. “We need the help of a bill like this,” Buss said. No one spoke against LB160 and the committee did not take immediate action on it. • evaluate the availability of child care capacity and the utilization of child care for children younger than six. “Access to quality child care leads to a more skilled workforce,” Hansen said. Testifying in favor of the bill was Colby Coash of the Nebraska Association of School Boards. He said school boards are ready to work with cities to promote early childhood development. “When a community builds a comprehensive plan, something like this is really important for the viability of that community,” Coash said. Adler also spoke in favor of the bill. He said cities should be required to consider early childhood education in their future plans. “We want to make sure this is a first thought, and not a secondary thought,” Adler said. Jack Cheloha, representing the City of Omaha, testified against the bill. He said the city supports early childhood development, but does not believe that using its comprehensive plan is appropriate. “We think there are other avenues that would be a better fit,” Cheloha said. The committee voted 4-0 to advance LB66 to general file.